Devon Weavers Workshop began life at Coombe Park in early 2005 in order to preserve the craft of handweaving in Devon, which was on the brink of disappearing from the county altogether. 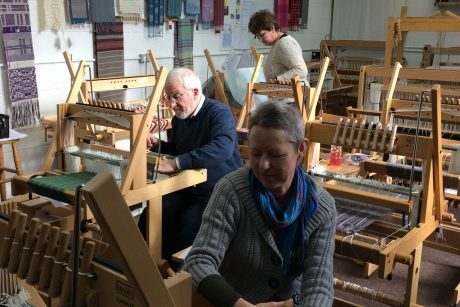 Since then the Workshop has attained charitable status, won two national lottery awards and an Ashley Family Foundation Award for equipment and its membership has grown to over 50 weavers. Members give their time freely to help maintain and run the Workshop and assist with special events held both on and off the premises. It facilitates both traditional and modern techniques, covering all aspects of weaving including rug weaving, inkle weaving, braidmaking, tapestry and fine, fashion textiles. 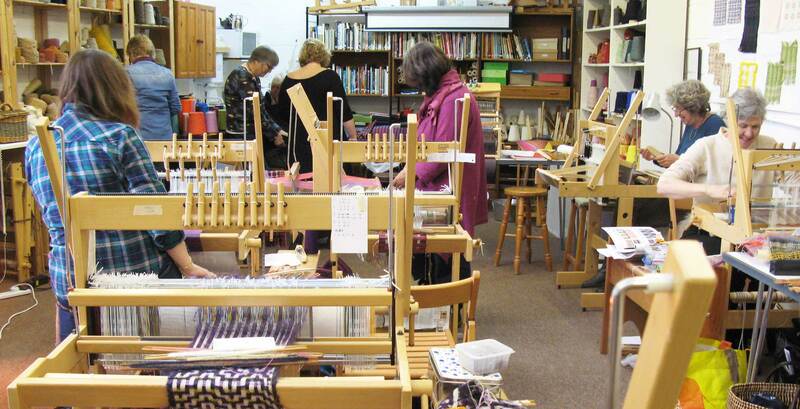 Beginner’s classes are held regularly, as well as courses for intermediate and advanced weavers, many of which are taught by visiting tutors from overseas. Courses are advertised internationally, nationally and locally. Students come from local areas as well as from all across the UK and abroad. As a result, the Workshop has attained international recognition as a centre of excellence for weaving. Visitors to the Workshop are always welcomed, where weaving can be seen in action along with finished work on display. The handwoven textiles produced by members are of a high quality and are sold at various events and exhibitions throughout the year, including the Contemporary Craft Festival in Bovey Tracey, Birdwood House, Totnes, Devon Open Studios and Harbour House, Kingsbridge. 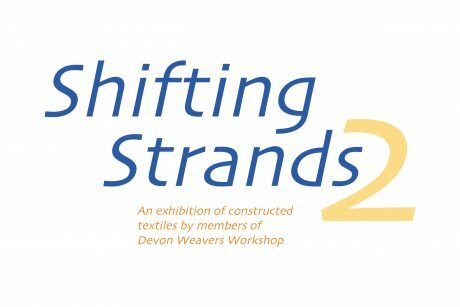 Interested in becoming a member of Devon Weavers Workshop?